They say it comes in 3s!!! For the 3rd weekend in a row, I was able to snag a PR! I can’t believe the month of February. Can’t. 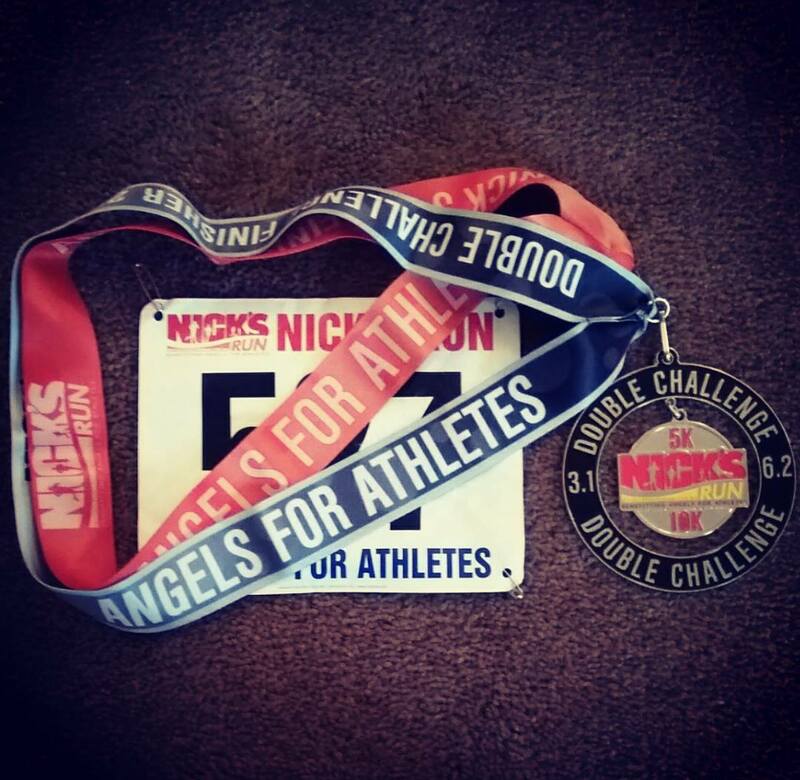 For those who want the Cliffnotes version, I PR’d my half marathon time by OVER SEVEN MINUTES! 1:55:37 —> 1:48:04!! The Expo was on Friday, the day before the race (which btw, I really like Saturday races) and I really wanted to meet some Instagram/We Run Social friends from last year’s race. Both the marathon and half marathon started at 6:30 so my husband and I had to be there at the same time which was nice because we could drive together (he was running the full). Runners had to arrive suuuuper early to catch busses that would drop off runners at the start of the point to point courses, so we left at 4:30 and scooped up my BRF Runner Jenny along the way. It was pushing it because the last bus left at 5:15 and we got there right at 5. Traffic was insane and we decided to drop my husband off and he ran to where his busses were. But me and Runner Jenny had no idea where the half marathon busses were! I asked a volunteer who took out a map and pointed me towards the direction we had just come from. What?!? We went back and saw my husband and run club coach who told us, no, the half busses were the other way! Runner Jenny and I scrambled (and ran seriously about a half mile) to the right place and luckily on time. After about a 20 minute bus ride, we reached the drop off point and I immediately got in line for the porta potties. It was a long line but I was able to do what I had to do just as the announcer called runners to the start line. 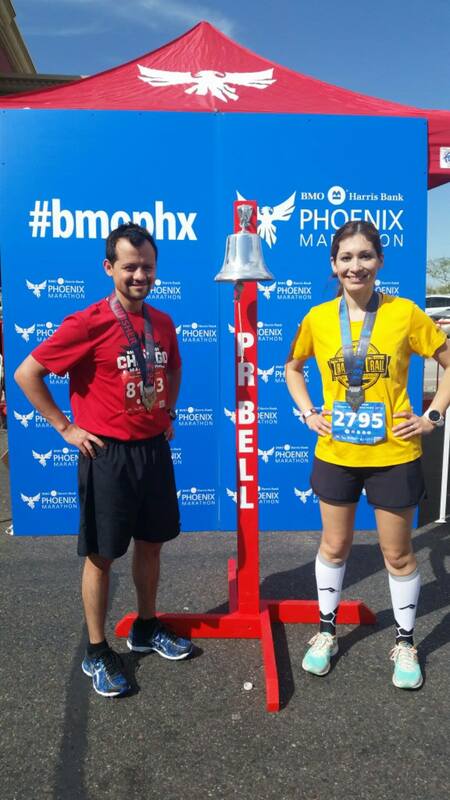 My long time buddy Nadia was with me and planned to help pace me to a PR (which was my goal, but I seriously had no idea I would do it by so much). She wanted to make sure I started conservatively, while I really had no idea what I was doing. Thank God for her because I know I would’ve started out too fast. In my overly ambitious head, I wanted to be at 8:15, but Nadia wanted me closer to 8:30, at least at the start. We found the 1:50 pacer and decided we’d stick with him for as long as we could as he said the pace was an 8:23/mile and that was a happy medium for me and Nadia. I began my attempt to get my I-pod ready; I had purchased a little shuffle thinking I’d avoid another FroYo music fiasco, lol. No such luck though because I had no idea how to make my playlist play. It would play the songs out of order and I didn’t know how to fix that. I started panicking a little, frustrated that I was dealing with this, but Runner Jenny was nearby and calmed me down, reminding me that before then, I never listened to music anyway. She was right. Music or no music, I’d be fine. I never got the shuffle to play the songs in my playlist order and it ended up not being a big deal at all. Mile 1 was navigating through crowds and it went by quickly at 8:24. We settled in and I just got in a zone, only looking at my watch when I felt it buzz a mile split. 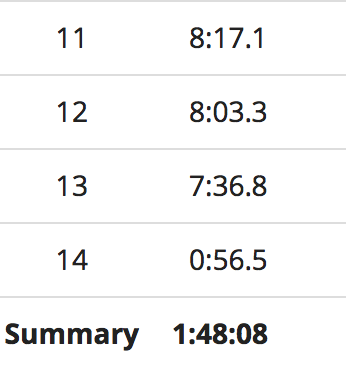 The pacer was actually going a little faster than planned as miles 2-7 were between 8:14 and 8:19. This pleased me as it was what I had wanted and I was feeling good. Really good. Sometimes I would feel myself start go a little ahead and then I would pull back, go a little ahead, and then pull back. Nadia’s presence a reminder of the plan. And each time I felt the watch buzz and saw the mile split I would just grin. I was doing it! At mile 7, I unplugged an earphone, turned to the pacer and Nadia and said, “This is officially the longest I’ve ran at this pace!” I was doing great! At mile 8, the pacer returned to his plan as the split buzzed at 8:21. I was a little bummed to see a 20something after feeling so good in the teens, and I told myself that if I was feeling good at mile 10, I would let myself pull away. Mile 9 buzzed away at 8:20 and mile 10 at 8:26. As soon as I saw that mile 10 split, I decided to let go of the pacer. I was going to finish this on my own. After mile 10, I dug my heels in and picked up the pace. I didn’t look behind me or next to me. 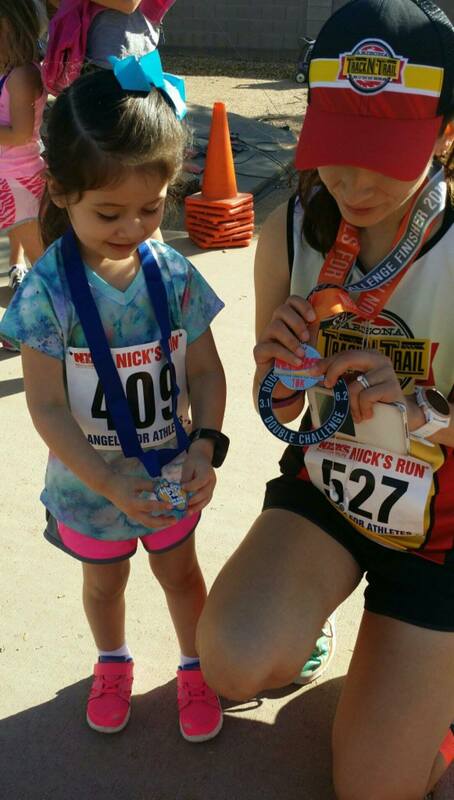 I didn’t say a word to Nadia (who later ended up stopping to call 911 for a runner! ), I just went, telling myself I had a 5k left and to leave nothing on the pavement. Knowing I had a mile left, I was going for it. I knew the last mile was a decline and I used that and the adrenaline of having a sub 1:50 nailed to give it all I had at the finish. 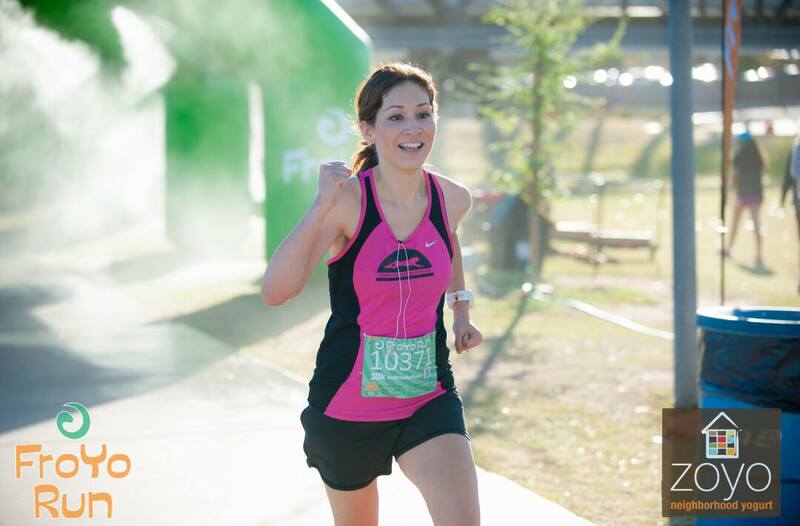 This was the first race, in all distances, that I felt good the entire way. That I felt confident and strong the entire way. I never once felt like I couldn’t do it. Nadia’s plan to start with the pacer was perfect. I think had I tried to do it on my own, starting off right away at an 8:15 pace, I might’ve tried to go faster and lost control. I was lucky that the pacer went a little faster earlier in the race, closer to what I’d wanted, because that let me be consistent and I feel that was huge in allowing me to feel so good the entire way. I’m also extremely freaking proud that I took the risk of pulling away after mile 10. I think the “old me” (I’m not sure what that means yet) would’ve been too scared to leave the pacer, afraid that I would burn out. But I felt so confident in myself. I’ve never felt this way before. It’s like I just knew that I could go faster–at mile freaking 10! When I finished, I immediately grabbed my stuff from gear check. I had signed up to receive tracking alerts from my husband and sure enough, he had crossed the half way point already right on target. 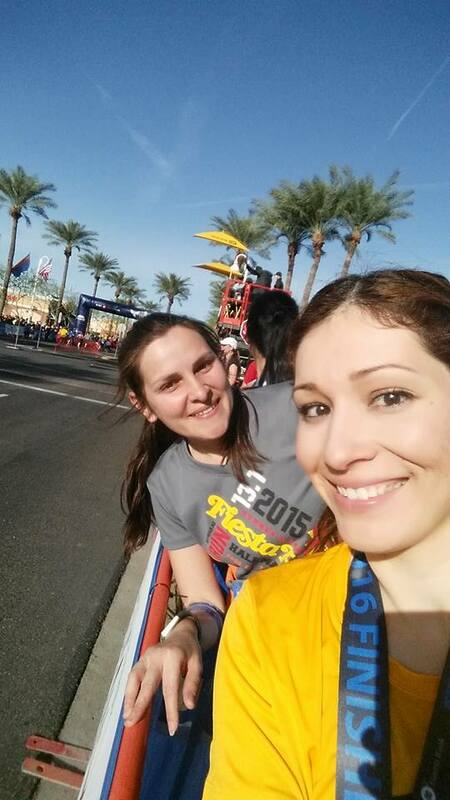 Not long after, Runner Jenny and Nadia met up with me and we waited for my husband to finish. I got the 20 miler alert and then finally, we saw him. I screamed my head off as I saw him cross at 3:37:46!!! A PR for him too!!! 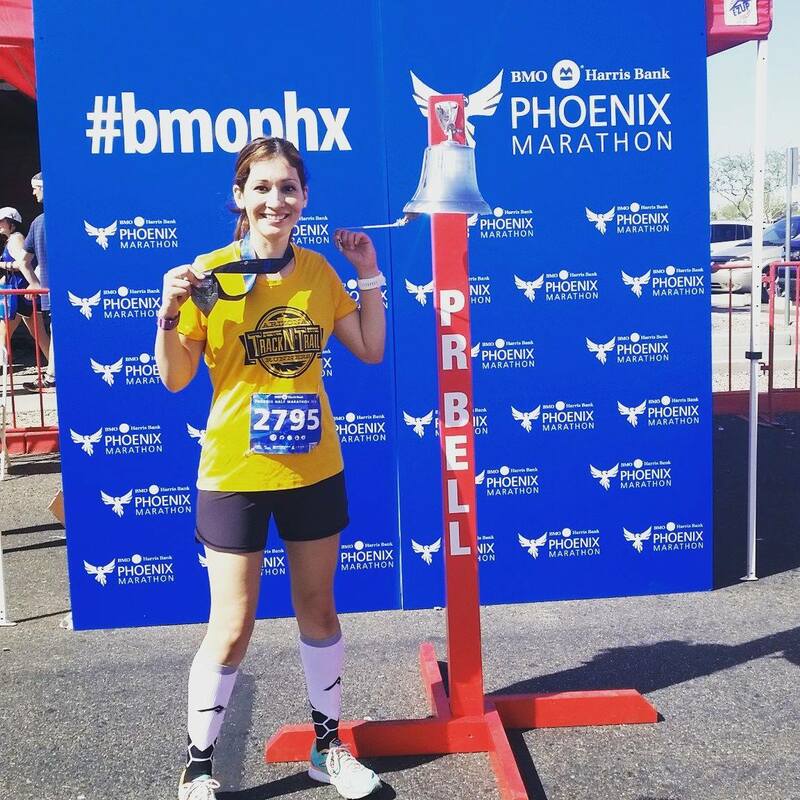 –How do you build confidence in your running? –When’s the last time you felt you “nailed” a race? I FINISHED 3RD FEMALE OVERALL!!!!! Lemme start at the beginning. As I’d mentioned before, I was the ambassador for this race and was very, very excited to be a representative out there. 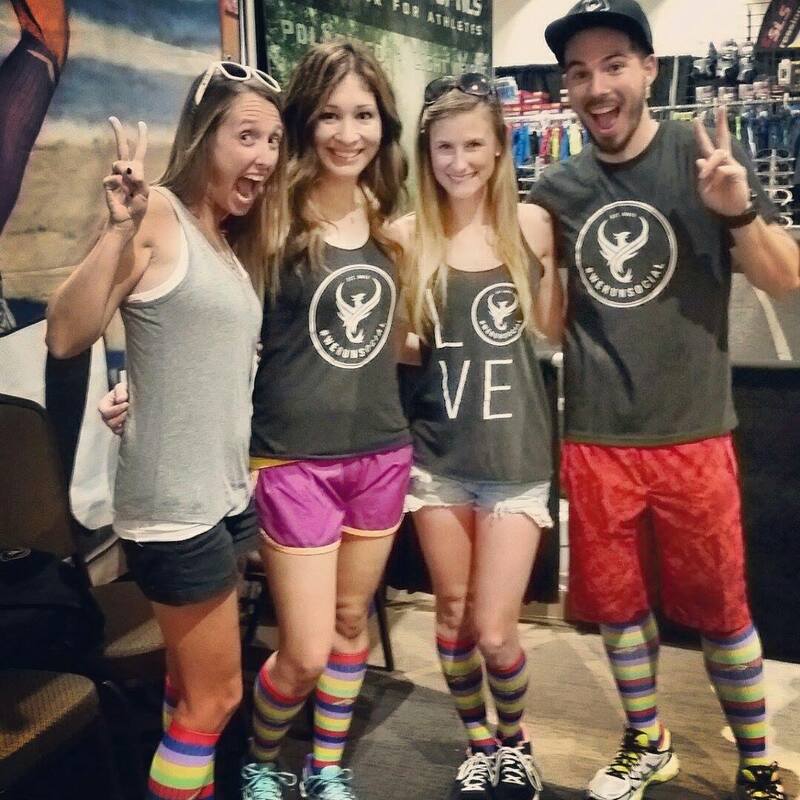 I went in with the intention of have fun and using it as a training run for Phoenix Half next weekend. That was the plan. My high school running buddy Nadia was also doing the double challenge and she also planned on taking it easy. This pleased me because I’d have a running buddy and really, it would be my one chance to run with her (she’s way faster than me). The 10k was first and we plodded along nicely at around a 9 minute pace. We chatted the entire way and eventually had no idea where we were in the park. Luckily the race had ample volunteers directing us because we were not paying any attention, lol! We rolled along and around mile 5 Nadia wanted to slow down and I decided to stick to the groove I was in. I finished the 10k at 55:05 with an 8:49/mile pace. Felt good the entire way. The 5k was next and started about 30 minutes after the 10k. Nadia was going to stick to 9 minutes but I wanted to be around the 8:30-8:45 mark so we decided to go at it solo. 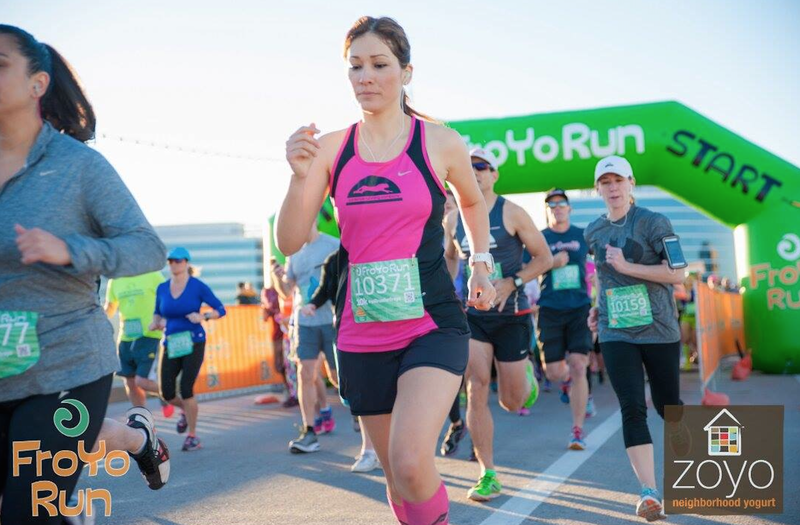 I looked around the crowd one last time in search of my husband–he was meeting me before the start as my daughter would participate in the Kid’s Run after the 5k. I didn’t see him so when the horn blew, I began to run. I was going along nicely when at about a half mile in we approached the first turn. From where I was, I could count the people in front of me and saw that I was the third girl at that point. When we rounded the corner, I could see the crowd behind me and saw that the next couple of girls were a bit aways. This might be my only chance to place overall! Any plan I had at that point was out the window and I picked up the pace. I kept it going, feeling good and mile two beeped at 7:58. I was still 3rd female. 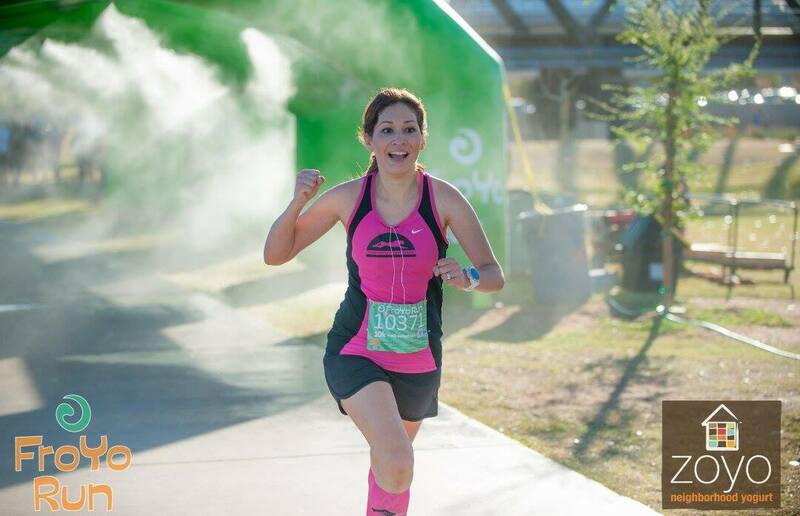 When we reached the final mile, I began to speed up a little as I saw I was close to a PR. I figured I was so close, I might as well give it a shot. 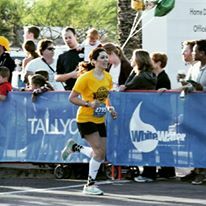 The race ended with a little uphill but I finished mile 3 at 7:39 and managed to beat my previous 5k time (and remain 3rd female!) at 23:55!! As soon as I grabbed my medals I walked towards my husband and dragged him to the screens displaying runners’ finishing times. There I was, my name next to third female overall!!! I know that this will very likely NEVER happen again (and thank goodness for small races, lol) so I’m glad I was able to finish strong despite having ran a 10k before. 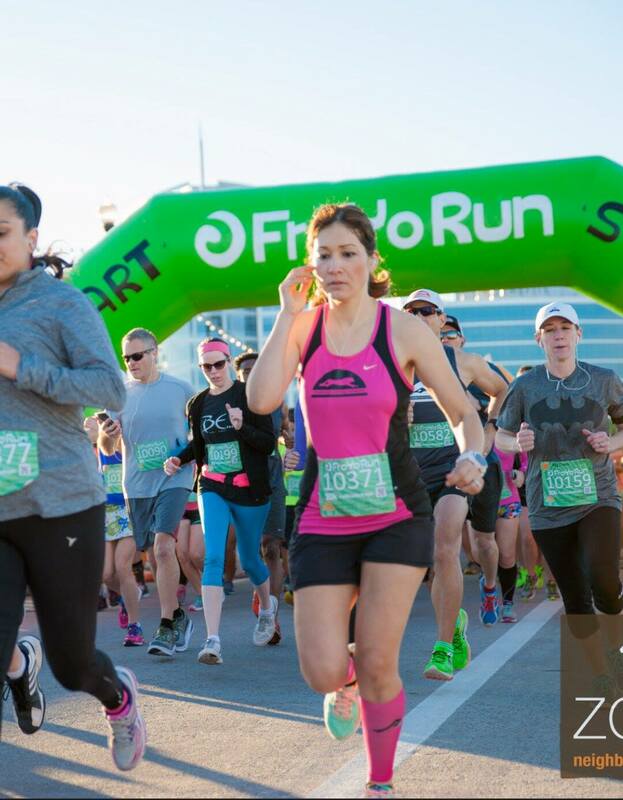 Remember how at FroYo 10k my chip time never registered so I missed out on an Age Group award? Well Nick’s Run only awarded 1st and 2nd overall places ONLY!!! It’s all good though because I can still say that at one point in my life I did that, lol! On a positive note, they mail out Age Group awards and my times put me at 1st in my Age Group for both the 5k and 10k so I should be getting those! Super yay! The best part of the race though??? I think she likes to run. 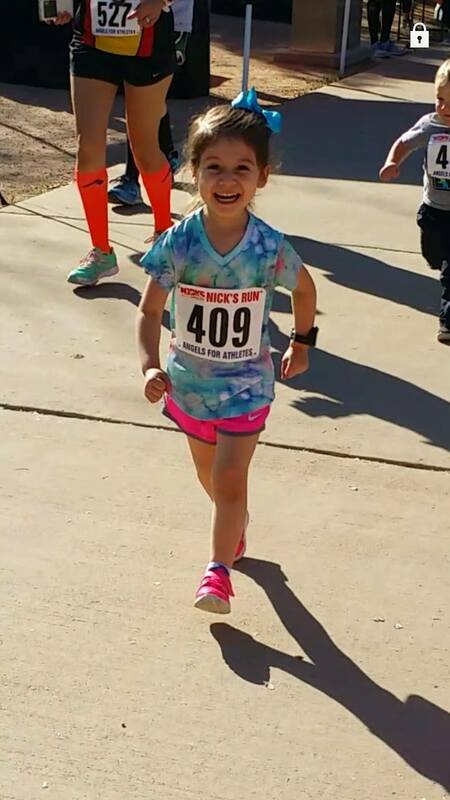 My daughter had an absolute blast running her race. 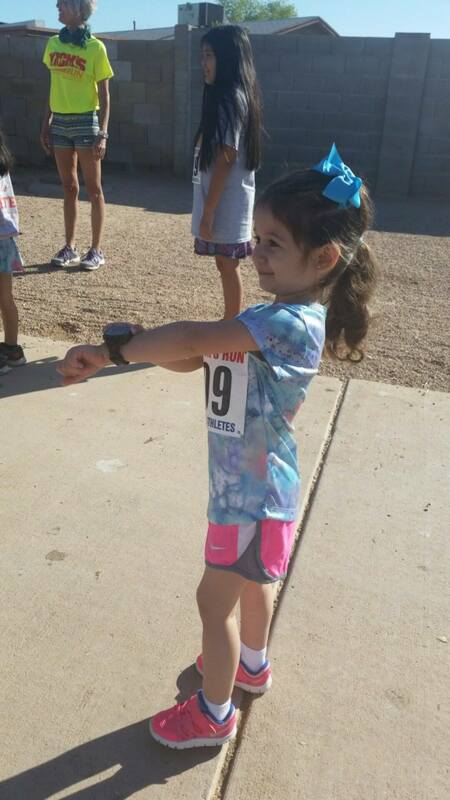 The 2-4 year old distance was perfect for her and she ran the entire way by herself. I was such a proud mommy!!! This was such a great race. Very well organized–like I’d mentioned earlier, the race was in a huge park and the course took you through several loops. There was a volunteer at EVERY turn directing you. I even saw the race director himself on the course pointing runners in the right direction. I strongly encourage runners to race locally. So much thought is put into it and you can see how people truly care about the event taking place. 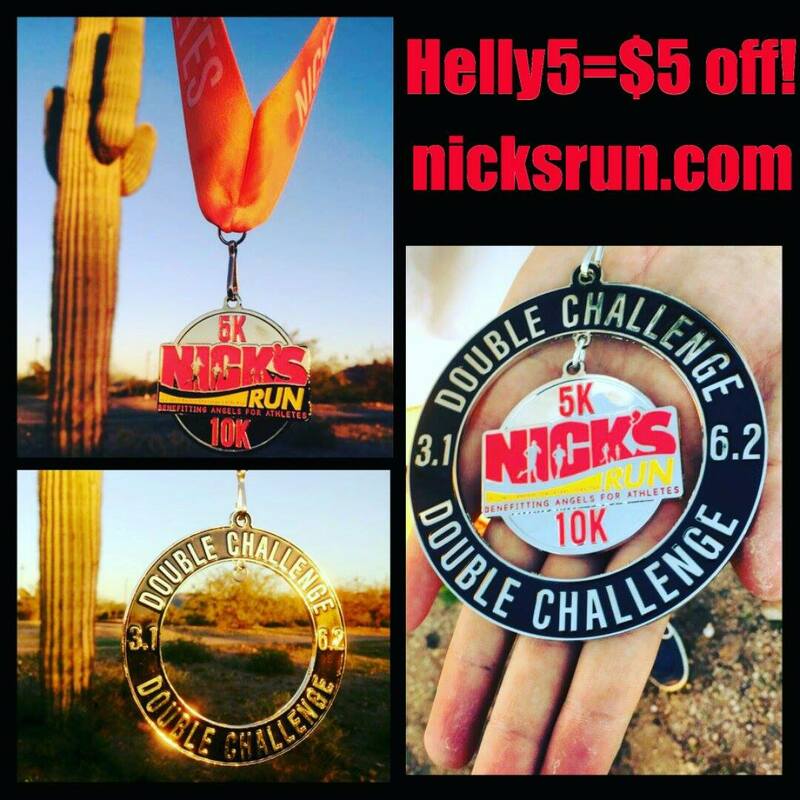 –Do you run local races? –Have you raced two (or more) distances back to back?